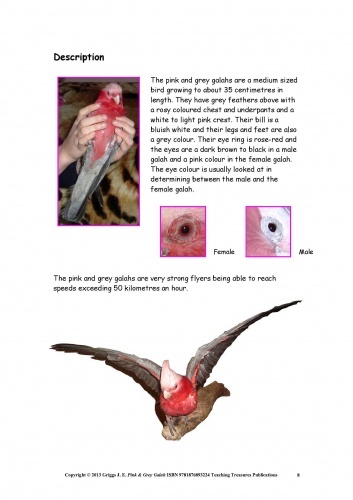 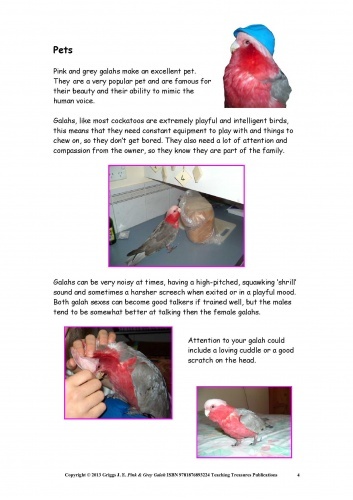 This pink and grey galah eBook will tell you about ‘How to care for your galah’, useful information about galahs in the wild, how they breed, food they eat, health care, disorders & diseases and more great ideas for you and your pet. 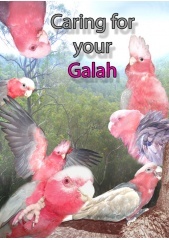 Content: Keeping a galah as a pet, distribution, galah description, diet including plant diet, housing your galah, making a bird perch, breeding in captivity and the wild, the importance of cage cleaning and perches, toxic fumes, galah facts, playtime, disorders and diseases such as feather picking, self mutilation, pododermatitis, obesity, lipomas & papillomas, psittacine beak , bacterial infections, gout, and psittacosis. 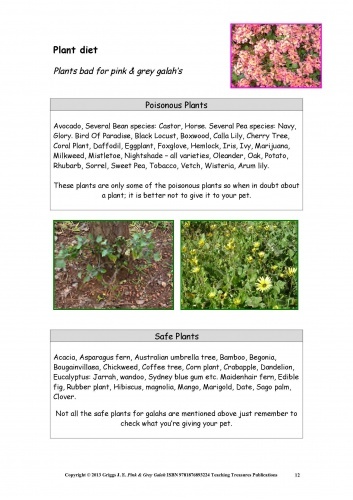 Bonus photos and student worksheets.